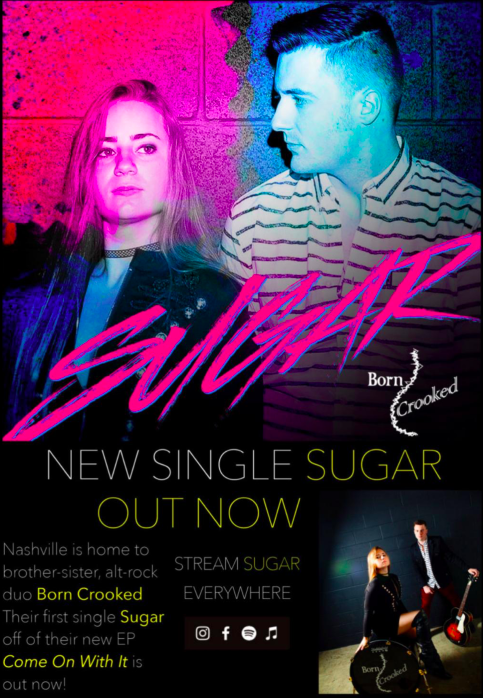 “…Nashville, TN based Alternative Rock Band BORN CROOKED has released their new single, “Sugar,” off of their upcoming EP, Come On With It. Our newest single ‘Sugar’ is out now! Listen to it on any of your favorite streaming services! After all this hard work on our new record, we are excited to be back out playing again! Come catch us in Nashville! Check out Sugar in the Press! Born Crooked picked as ‘Who’s Hot!’ for Hollywood Music Magazine! Read the full feature. ‘Sugar’ is getting sweeter in the Press! SEE the new single being featured in magazines including the US, Australia, Bulgaria & the UK and beyond! It’s getting a little sweeter Down Under! Check out ‘Sugar’ in Australia’s “OVERDRIVE Magazine". Click here to read the article! 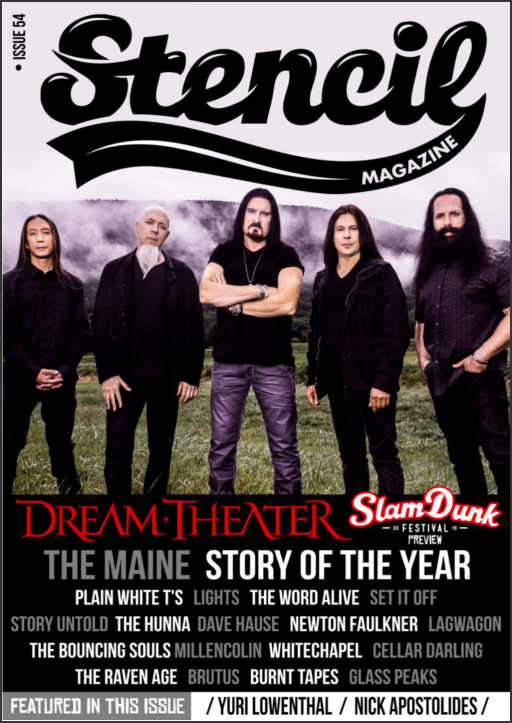 ‘Sugar’ featured in “Breaking Music Magazine”! Click on the image to read the article! March, 2019 sees new music from GRAMMY Amplifier finalists, Born Crooked! Sugar was released March 25th and is taking off! ‘rock attack radio’, france is spinning the single. press is starting to pour in around the ‘Suga'r’. check out mentions in magazines from THE UK, Bulgaria, u.s. and more on our facebook page. Partnering with TAG Publicity, Born Crooked is set to release the first single off of their New studio album Come On With It. Recorded in Nashville, TN with GRAMMY Nominated, Billboard topping producers Brian Craddock and Josh Paul of CO:OP Song Production. The NHL featured “May The Best Man Win” During the 2018 nhl Winter Classic and the World Junior Championships. “Sugar” off the upcoming record was picked as the “Buzz Cut of the Week” on 102.9 The Buzz, Nashville’s biggest rock station.